(P1) Social media can make a relationship a lot more complicated. Take, for example, Facebook and Microsoft’s Skype. (P2) Back in 2011, they were the happiest of couples, telling everybody how they were working together to make video calling in Facebook Messenger a reality. (P4) But now, with the launch of video calling in Facebook Messenger for iPhone and Android, there’s no longer any doubt: Facebook and Skype have broken up, and Skype seems to be the one who was dumped. (P5) While no announcements have been made, we started to suspect Facebook and Skype were no longer quite so close in 2013, after Facebook introduced a voice calling option that used Facebook’s technology. (P6) But the real rupture appears to have happened a few months back. That’s when Facebook quietly stopped using Skype for video calls made from the desktop, replacing Skype with technology that Facebook developed in-house, Facebook confirmed to Business Insider. (P7) This change was made because Skype-powered video calls required users to install a browser plug-in, while the technology Facebook whipped up works without one — important for call performance, video quality, and letting Facebook more quickly make changes and upgrades to video chat, according to a person familiar with the matter. (P8) For users, the change was basically invisible. But for the Facebook and Skype partnership, announced with so much fanfare in 2011, it seems it was the beginning of the end. (P9) The demise of the Skype partnership represents the second major example of Facebook cutting ties with Microsoft recently. In December, Facebook unceremoniously stopped using Microsoft Bing to provide web search results on its social network. (P10) Microsoft and Facebook have a long history together — Microsoft in 2007 invested $240 million in what was then a promising young social-networking company. Now that Facebook is a tech behemoth in its own right, it no longer needs to rely on others for technology such as search and voice calling. And keeping things in-house gives Facebook more control. (P11) Microsoft declined to comment on the end of its Skype deal with Facebook. (P13) He gave a laundry list of Facebook integrations that will no longer work in Skype as of the end of April, including the ability to message Facebook friends from within the Skype desktop app. (P14) “We never like it when features have to go away like this,” Henrichs wrote. Skype users will be able to use their Facebook account to find friends who have a Skype account, but it’s not the same. (P15) Skype’s partnership with Facebook may have been a casualty in the social network’s mission to never, ever, ever let its user base leave the site for even a single second. 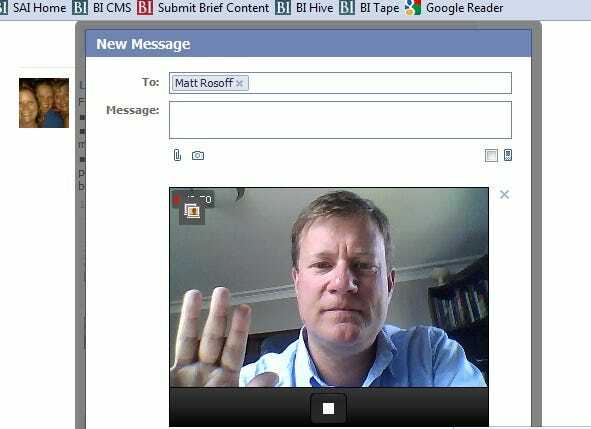 In 2011, Facebook executives were really excited about integrating with Skype. Why did they change their minds? Do you use Facebook? Do you use Skype? There is a lot of talk about “seamless” technology – the Facebook / Skype partnership was supposed to be an example of it. What does “seamless” mean? Despite all this talk about seamless technology, different systems and applications often do not work well together – Microsoft and Apple products, for example. Have you ever had problems with this yourself? In the Facebook / Skype partnership, which one was the more powerful partner?